HOUSTON, Texas, March 4, 2015 (ENS) – An action plan designed to improve the market competitiveness of Houston’s buildings and attract energy efficiency investments was released today by the World Business Council for Sustainable Development, WBCSD, and the U.S. Business Council for Sustainable Development, US BCSD. Made public during a ceremony at Rice University, the action plan is based on the recommendations of the Houston Energy Efficiency in Buildings Laboratory, EEB Lab, held jointly by the two business organizations last October. The action plan has received widespread support despite the fact that Houston – the largest city in Texas and fourth-largest city in the United States – is nicknamed the Oil Capital of the World. Houston is home to more than 5,000 energy-related firms in every segment of the oil and gas industry – exploration, production, transmission, marketing, service, supply, offshore drilling and technology. But all sectors like to save money. The business councils’ action plan is based on research that shows energy savings of 30 percent from Houston’s commercial buildings would contribute over half a billion dollars to the Houston economy. This equals the investment required to build 10 new mid-size power plants. Savings of this magnitude could translate into nearly 20,000 new jobs over a five-year period, the two business councils project. 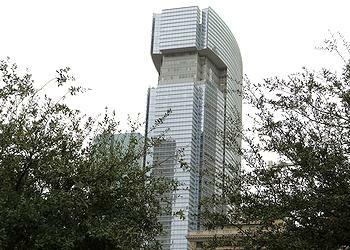 Houston already has a number of high-profile LEED-certified buildings. LEED, or Leadership in Energy & Environmental Design, is a green building certification program that recognizes best-in-class building strategies and practices. To make further energy efficiency gains, the business action plan has four themes. Actions are targeted to Class B and C building owners, who have less history of making EEB investments than Class A building owners. All EEB Lab participants agreed that this market is a priority action area. Implementation of the plan will be driven by a team of local public and private sector leaders. WBCSD member companies Schneider Electric and United Technologies, AGC, Lafarge and Siemens have supported the Houston EEB Lab and will help drive implementation. The team will work to raise awareness of the multiple benefits of energy efficiency in buildings with the goal of motivating regional real estate professionals to act on energy efficiency. The implementation team will focus on the coordination, promotion and development of energy efficiency financing options and tools. The team will build capacity by identifing industry best practices and using EEB training to scale up energy efficiency projects in Houston. Training will address the nature of energy efficiency investments, achieving maximum value and realizing energy savings that can be sustained. The fourth theme aims to increase Houston’s real estate market competitiveness with public policy development to improve the long-term competitiveness of Houston’s buildings. The implementation team will serve as a sounding board for proposed policy and regulatory action. 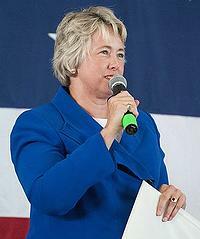 Mayor Annise Parker made a public commitment at the UN Summit on Climate Change on September 23, 2014, that Houston would cut emissions of the greenhouse gas carbon dioxide by 80 percent from 2005 levels by 2050. Houston has reduced its greenhouse gas emissions by 32 percent since 2007, and Mayor Parker has made a commitment that the City will reduce local emissions another 10 percent by 2016. Decreasing building energy use is a key step in meeting these goals. In November, Mayor Parker released the energy use data for all large municipal facilities – 62 city-owned buildings representing more than five million square feet of space. She said that collecting and analyzing energy-use information for these buildings will allow the City to identify operational and management adjustments to reduce energy use, save taxpayers’ money, and increase government transparency. Houston has a legacy of implementing efficiency projects in the public and private sectors, such as the Houston Green Office Challenge, a friendly competition that challenges commercial property managers and office tenants to improve their building performance, and the City Energy Efficiency Policy, which promotes energy efficiency in the municipal operation of basic facilities, services, and installations. 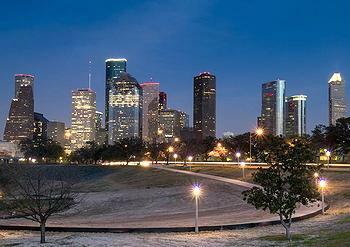 Through its Municipal Energy Efficiency Program, Houston has retrofitted nearly six million square feet and invested $70 million in more-efficient systems and technologies, with buildings achieving energy reductions approaching 30 percent.